hard bop, including news and reviews of the latest music and reissues. For more, check out the Hard Bop Homepage Blog. Roberto Magris has been playing jazz for decades, and while well known in Europe he is a relatively obscure name in the United States. With this disc, however, hopefully that will change. Morgan Rewind: A Tribute to Lee Morgan is the first of two proposed volumes of the great hard bop legend's work. 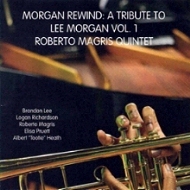 The majority of the tunes were written by Lee Morgan himself, with new arrangements by Magris and company. In addition to Magris on the piano, the quintet is anchored by the legendary "Tootie" Heath on the drums, Brandon Lee on the trumpet, Logan Richardson on alto sax, and Elisa Pruett on bass. A neat feature on the disc is the audio liner notes by Paul Collins. Also worth investigating is the Magris Quintet's earlier set Mating Call that is equally as enjoyable. Check it out. One of the problems with viewing jazz on television or DVD is that the primary emphasis of the entire endeavor--the music--often suffers because of inferior recording and playback. While many people run their TV sets through their stereo units, fewer people have stereo setups anymore and most people simply use the speakers on their set. This is far from the optimum way to hear jazz. In addition, most vintage concerts and shows suffer from poor recording quality at the source. Nevertheless, these gems are now the only way we have to visually see jazz legends in action and are certainly worth the price of admission. As always, enjoy. This is a fascinating Lincoln Center concert from 1982. The parade of jazz legends is jaw dropping: Max Roach, Gerry Mulligan, John Faddis, Milt Jackson, Paquito DiRiviera, Frank Foster, Curtis Fuller, Melba Liston, Candido, and more. 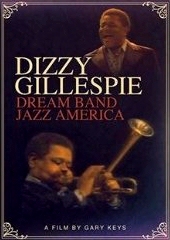 As expected, most of the compositions are by Gillespie, "Manteca," "Night In Tunisia," "Groovin' High," "Tin Tin Deo," and "Salt Peanuts." There is also a Max Roach feature, "Mr. Hi Hat," as well as a tribute to Charlie Parker with Tadd Dameron's "Hot House," and the bebop standard "Lover Man." There are definite issue with the audio, but the historical value more than compensates. 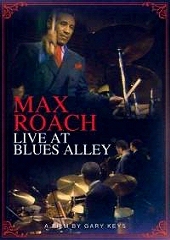 This is a rather short set from 1981, recorded at Blues Alley in Washington D.C. Max Roach is featured with the piano-less quartet that he toured with for most of the 80s, featuring Cecil Bridgewater on trumpet, Odeon Pope on tenor sax, and bassist Calvin Hill. 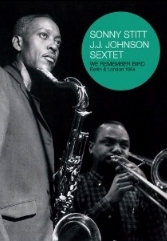 The set opens and closes with solos by Roach, beginning with a tribute to Sid Catlett called "Big Sid" and ending with his signature "Mr. Hi Hat," a tribute to the great Jo Jones. In between are three fairly lengthy post-bop numbers. Roach is a great host, however, joking with his band members and telling anecdotes about his time on 52nd Street with Charlie Parker. The sound is fairly good and any problems are a minor quibble when you realize there is very little video at all in existence featuring the great drummer. Overall, a terrific, intimate set. This film has the great baritone sax man fronting a quartet at a New York night club called Eric's in 1981. Anchoring the quartet is the great Billy Hart on drums, with Frank Luther on bass and Harold Danko on piano. 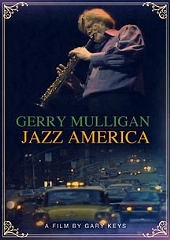 The set begins with a rollicking version of "17 Mile Drive" from Mulligan's 1962 quartet with Bob Brookmeyer, and continues with "Around About Sundown," "For An Unfinished Woman," "Walk On The Water," "North Atlantic Run," "Song for Strayhorn," and finishing with "K-4 Pacific," a tune from his album, Age Of Steam from 1971. The film as a nicely recorded soundtrack. Each instrument is clear and ballanced, and there is a nice introduction by Mulligan about how he became interested in music. Recommended. Impro-Jazz has come out with a nice set of classic jazz performances on film. This one actually contains three performances by different groups. 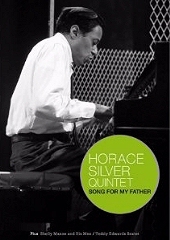 The first is from a 1968 European tour by the Horace Silver quintet with Bill Hardman on trumpet and Bennie Maupin on tenor sax, performing "Nutville" and "Song for my Father." The second group is Shelley Mann's quintet with Conte Condoli on trumpet and Richie Kamuca on tenor sax from 1962 as they appeared on Oscar Brown Jr.'s television show. They perform "The King Swings," "Fan Tan," "The Isolated Pawn," and "Speak Low." The final group is also from Brown's 1962 show, the Teddy Edwards sextet performing Edwards' compositions "The Cellar Dweller," "Sunset Eyes," "Afraid of Love," "Good Gravy," and "Velvet Mist." Great vintage jazz. This set is from two separate sessions filmed in European in 1964 with Sonny Stitt and J.J. Johnson, first in Berlin, and then in London. On the London set trumpeter Howard McGhee joins in. The rest of the group includes Walter Bishop Jr. on piano, Tommy Potter on bass, and the great Kenny Clarke on drums. As with many of the jazz legends, there is a paucity of great footage on film and this set is great for getting extended looks at both Stitt and Johnson. .
Part of Martin Scorsese's Presents the Blues series on PBS, this episode is one of the highlights for jazz fans. Clint Eastwood's casual discussions with Ray Charles, Dave Brubeck, and a trio of New Orleans pianists is wonderfully engaging, informative and fascinating. 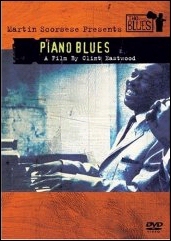 With a minimum of documentary footage--or emphasis on the blues, for that matter--Eastwood sticks to conversation and demonstration with some great pianists and is able, in the process, to show some truely creative minds at work. 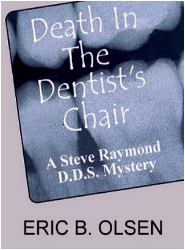 Crime-solving dentist Steve Raymond is back in an all-new mystery. When a colleague brings disturbing news of a patient who has died in her chair, she calls on the Seattle dentist for help. Little does Dr. Raymond realize that his offer to treat the surviving family members will draw him into another murder investigation. At the same time Steve is playing saxophone with the best band he's ever been in. But the choice between music and dentistry is just one of the decisions Steve will have to make. Suspects abound, and time is running out, as death sits in a most unlikely place.